Are you looking for a gate repair company in NYC? Gate Repair NYC is a gate repair company in NYC, serving residents and commercial property owners with efficient gate service and affordable prices. 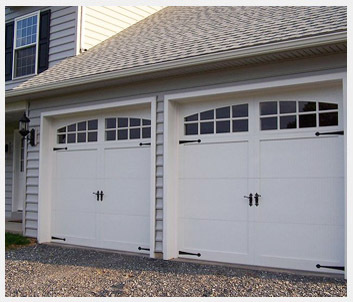 For years, we've helped protect storefronts, businesses, and garages with professional gate repair services. Our experts are equipped with the knowledge, tools, and expertise to repair your gate without delay. At Gate Repair NYC, we employ all of our gate service technicians, meaning you will receive the same level of service each time you call, with no hidden costs. We have built our business as a trustworthy and reliable source for gate repairs in New York City, focusing on the needs of our customers and the complete satisfaction both during the job and upon completion. You have a lot invested in your NYC business. Once you end your day, you need to know that your investment is protected with a gate system that performs optimally at all times. One malfunction on the wrong night can end up costing much more than a simple gate repair. At Gate Repair NYC, we help safeguard storefronts in NYC with expert gate repair services. Our years of experience allow us to promptly fix gates, leaving you with peace-of-mind knowing that your investment is protected from trespassing, vandalism, and burglary. When you first notice signs that your gate is not functioning correctly or does not work at all, call Gate Repair NYC. At Gate Repair NYC, we know that there are typically two times when a problem with your gate might be noticed: early in the morning when opening, and late at night when closing. To reach our valued customers when they need us, our gate repair specialists are available with 24 hour gate repair. Other circumstances may arise, causing the need for emergency gate repair. Our professionals know the local neighborhoods and communities within NYC, and can reach you without delay to complete the emergency gate repairs you need to alleviate concerns regarding your building's safety. We work with trusted materials and products to bring you long-lasting gate solutions at prices to meet your budget. We choose gate products with the longest warranties in the security industry. Should a problem arise, you are protected with prompt, expert gate repair and guaranteed products. Our purpose is to continue upholding our company's reputation and service, providing our customers with reliable and honest gate repair services when they need it. 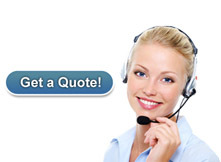 For more information about our affordable gate repair company in NYC, call Gate Repair NYC at (888) 886-4733. Commercial & residential gate service in NY.